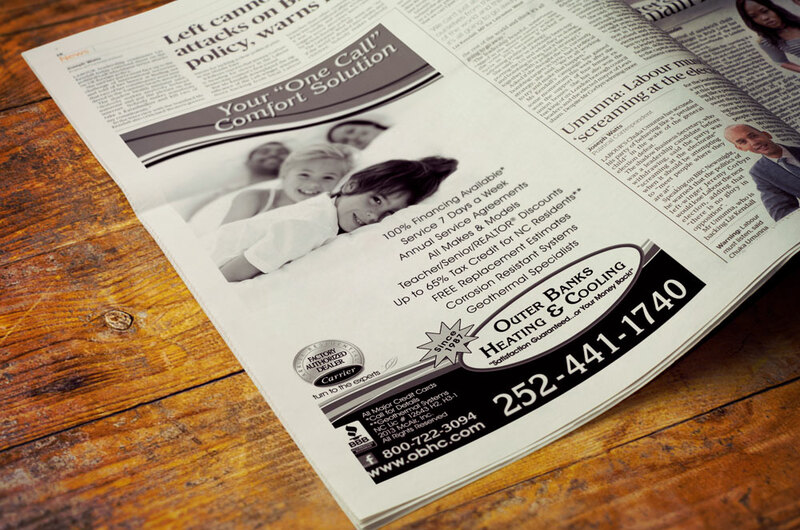 We have been creating newspaper and magazine ads, as well as online and other ads, for Outer Banks Heating & Cooling for years. 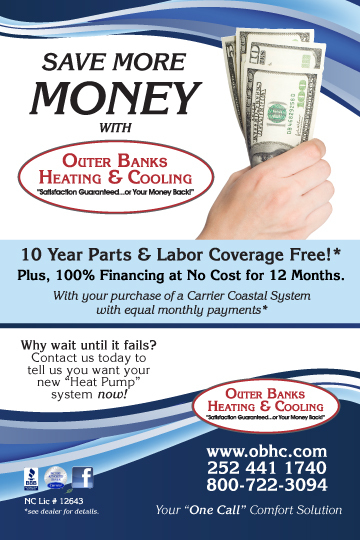 I’m sure if you’re local to the Outer Banks area, you have seen the trucks and vans running up and down the bypass with the blue wavy lines. 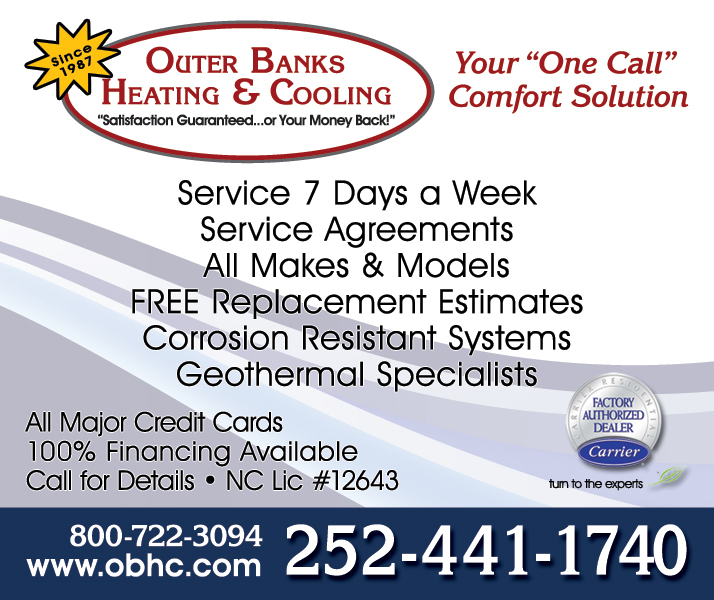 We designed those lines! 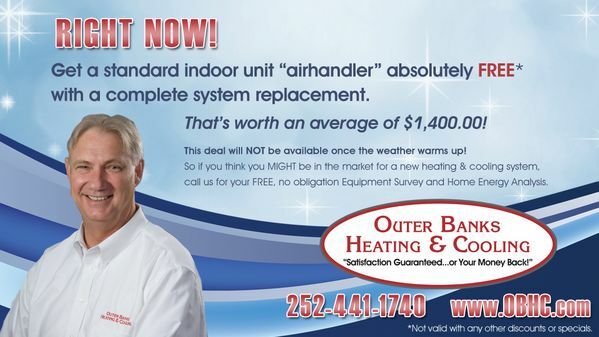 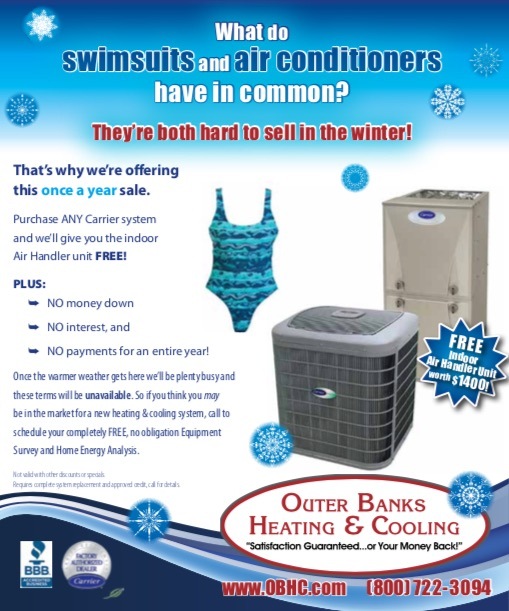 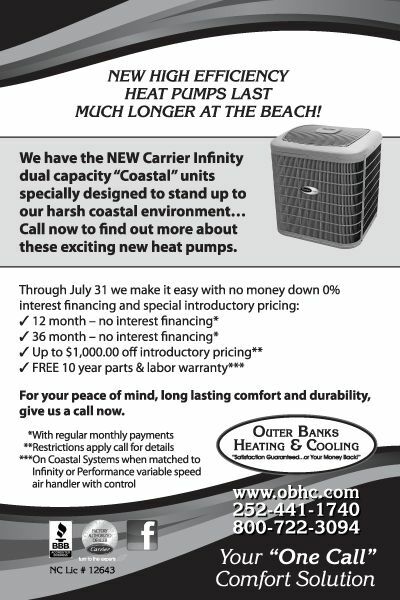 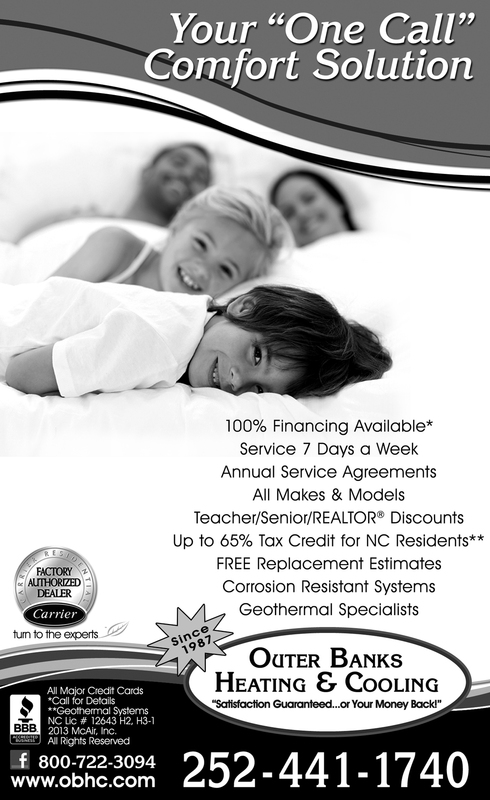 Outer Banks Heating & Cooling uses them on their website, brochures, flyers, business cards, vehicles, TV ads and more. 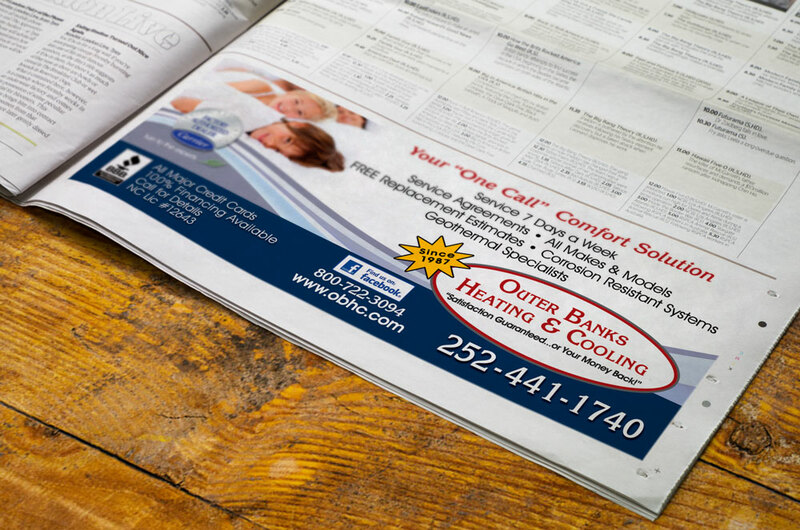 One of the benefits of having a team that you work with regularly for your marketing is the ability for us to bring your branding into everywhere you advertise. 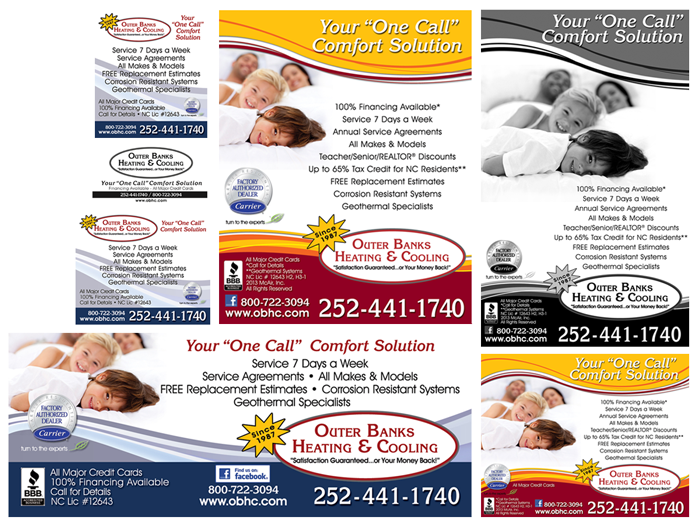 When you have ads in multiple publications, we can make one design and scale and reshape the ad to fit all of the publications’ space and specifications.